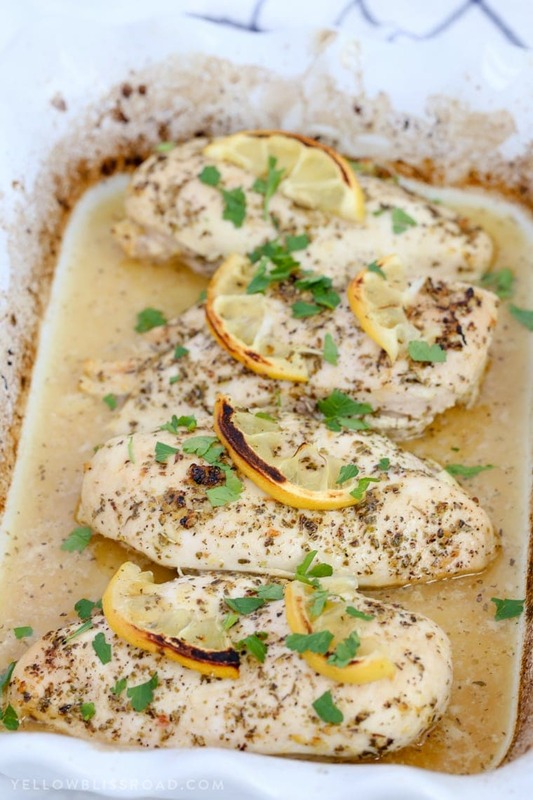 Baked Lemon Chicken with Herbs | So tender and juicy! 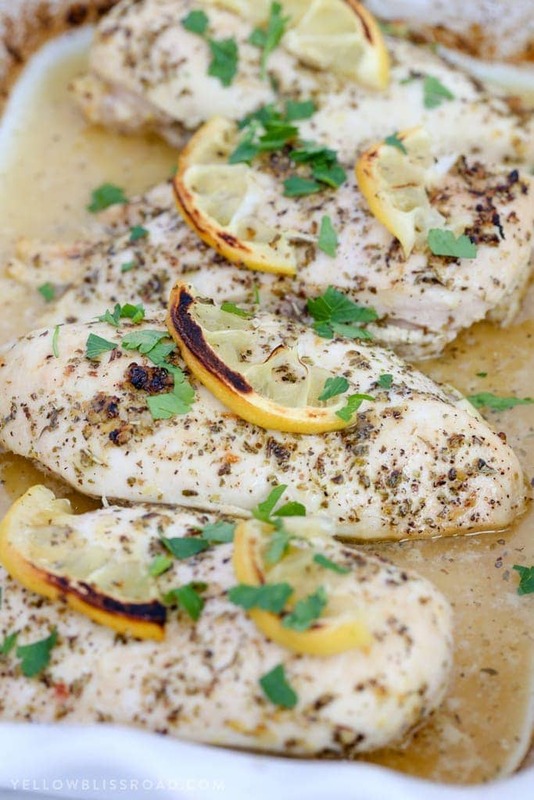 Baked Lemon Chicken is sure to be a new weeknight dinner staple. The most tender and juicy chicken ever, and so easy and full of flavor! When it comes to baked chicken, I wrote the book. 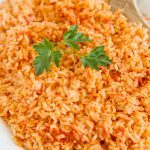 Ok so I didn’t write the book but I did write this recipe that has become the most popular recipe on my site, and has been viewed nearly 3 Million times. 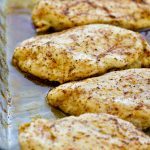 It’s no wonder, because it is the best way to cook chicken breasts and get them super tender and moist. 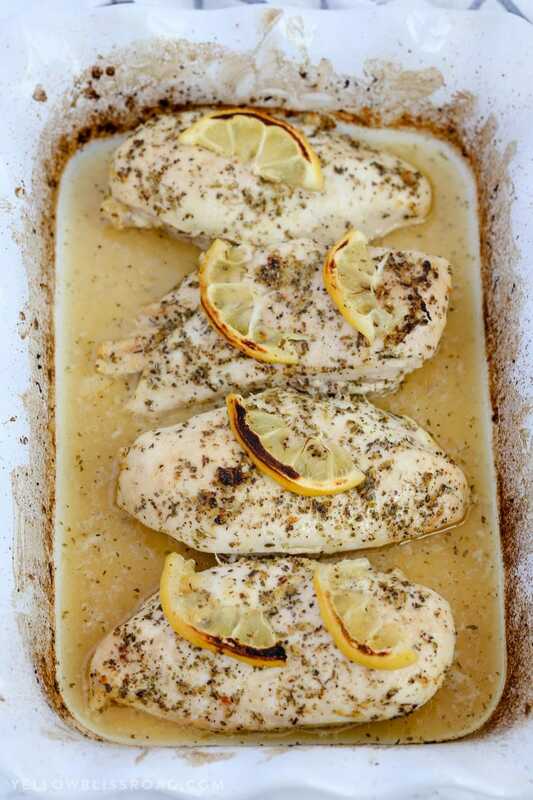 This Baked Lemon Chicken recipe puts that recipe to shame in the flavor department. With each bite you get a burst of lemon and herbs that make you want to savor each piece. 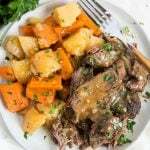 Plus it’s incredibly tender and juicy, and you can add fresh herbs or dried to give it even more flavor. 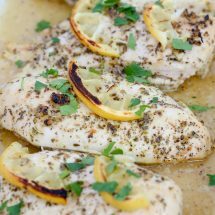 To make this Baked Lemon Chicken, mix together some dried herbs with corn or canola oil and the juice and zest from a lemon. Pro-tip – make sure to zest the lemon before you juice it! Basting the chicken with the pan juices a couple of times also helps to keep the chicken from drying out. 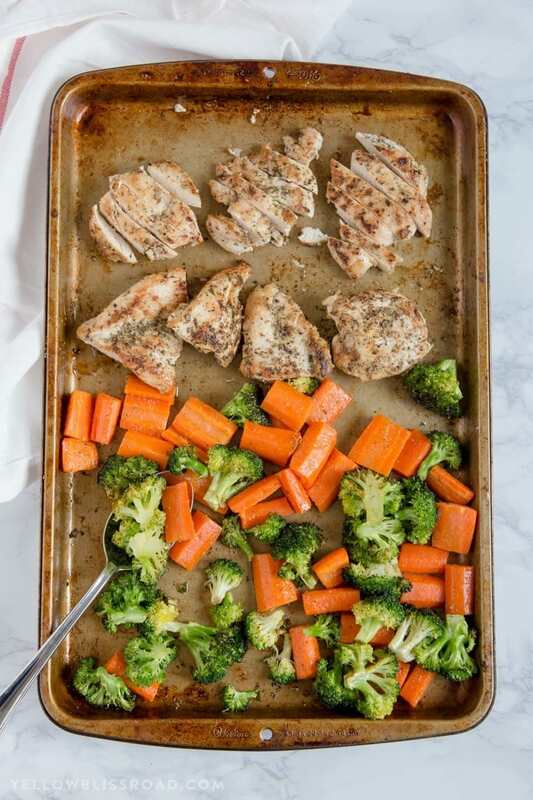 It’s so good, and it’s our new favorite way to make baked chicken! Preheat oven to 450 degrees. Pound chicken breasts lightly so they are of even thickness. Whisk together lemon juice and zest, minced garlic and corn oil in a small bowl then pour into a 13" x 9" baking dish. Lightly dredge the chicken through to coat it, then place chicken breasts side by side in the dish. Sprinkle chicken evenly with salt, pepper and Italian seasoning, then rub it in with your hands. Place chicken breasts side by side, making sure there is no overlap. Arrange a few lemon slices on top of the chicken. Bake in a preheated oven for 18-20 minutes, basting once or twice, until juices are clear or a meat thermometer reads 160-170 degrees. *Note - depending on the size of your chicken breasts, it could take longer. Mine were pounded to less than an inch thick and take about 18 minutes. *Optional Step - To brown chicken, turn the oven to broil and place chicken under the broiler for 2-3 minutes until browned. Cover with foil and allow to rest for 5-10 minutes while the juices settle before slicing. Serve immediately, garnished with fresh parsley and lemon slices, if desired. I wanted to note that in the original Baked Chicken Breasts recipe I used olive oil. A lot of people were concerned about the olive oil being cooked at such a high temperature and that it can break down and become harmful so I have switched to using corn or canola oil. 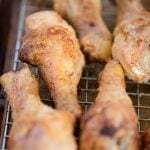 Although the oven temp is 450 degrees, the food (and consequently the oil) doesn't reach anywhere near that temperature and it's only in the oven for a short time. 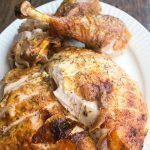 I have never had an issue with the small amount of extra virgin olive oil reaching it's smoke point on the chicken, but if you are concerned, I recommend doing some research and making that decision for yourself. 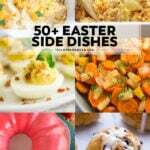 For all chicken recipes go HERE, for all dinner recipes go HERE and for the Recipe Index go HERE. Hey thanks for the recipe and all the heart and soul you pour into your cooking! 🙂 Just a quick note; there are DIFFERENT TYPES OF OLIVE OIL. Extra Virgin Olive Oil has a low smoke point, so yes, it should only be eaten raw (salad dressings and drizzled on EVERYTHING for flavor and all the nutrients, vitamin E, and liver-detoxing properties!) But REFINED OLIVE OIL (which is NOT virgin) has a HIGH SMOKE POINT and therefore is a great cooking oil. Trader Joe’s of course sells both (lots of EVOO choices. I use their regular Olive Oil to cook everything and it works great! Great for sauteeing too! Food doesn’t stick. 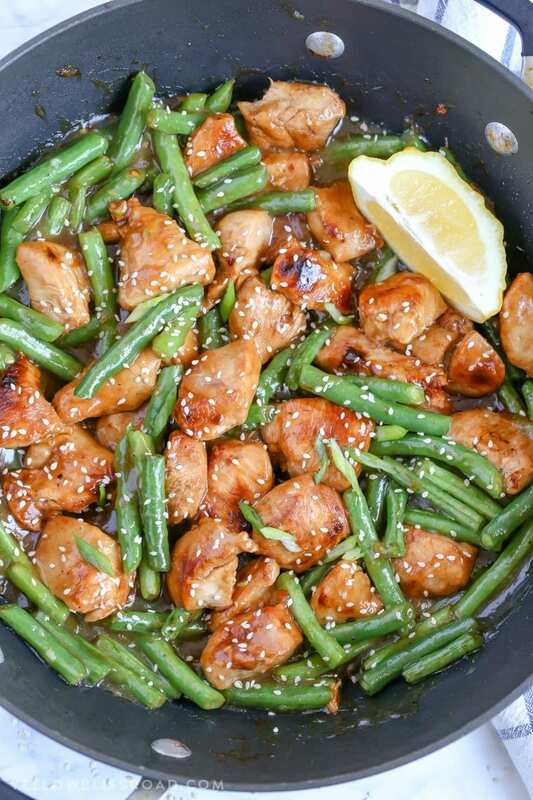 This is one of the most outstanding chicken recipes I’ve ever tried. A+++! It’s so simple too. We LOVED it and it’s a keeper! Awesome recipe! I’m going to try today after work. Is it okay if I subsitutie the lemon with lime? Quick, easy and full of flavour. I have made this great recipe a few times now and it is very good. 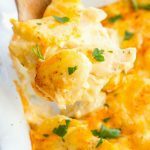 Thank you for the recipe, it’s perfect for weekday meals! 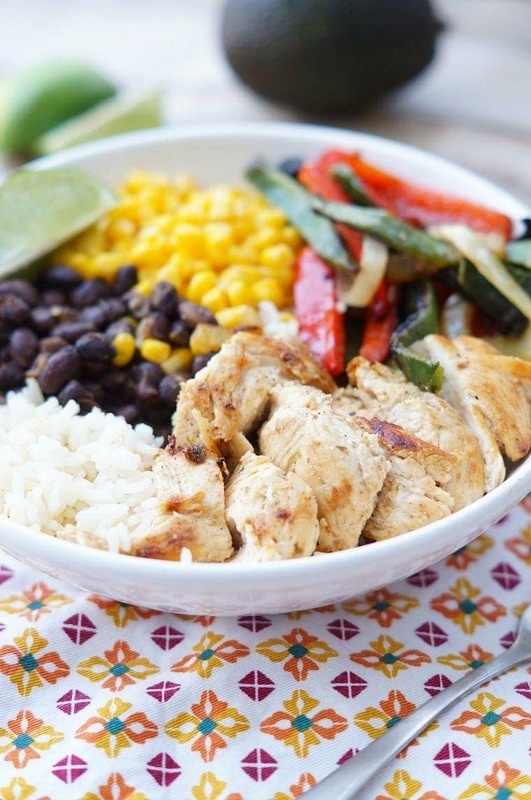 I like how you made chicken bowls with other veggies, beans and rice or noodles. It looks so appetizing, I don’t know why but I love it!! Tried the baked lemon chicken. It was exquisite! 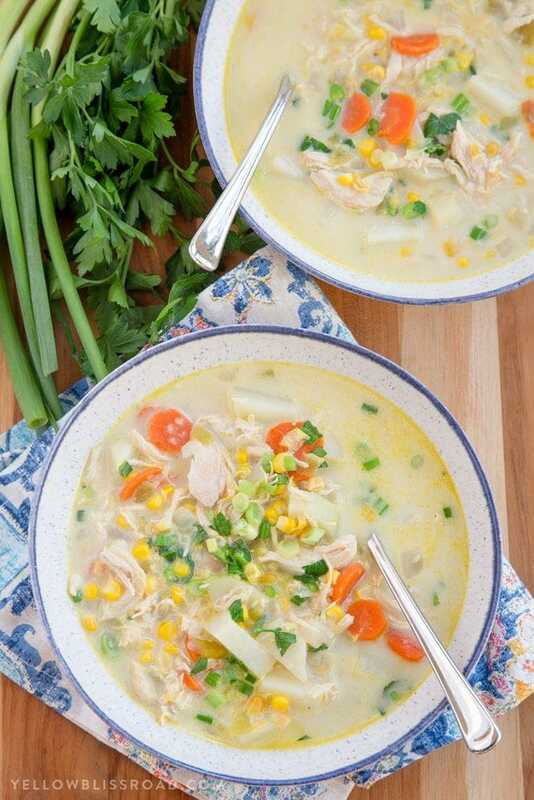 Soft and tender and super easy super quick. The whole family enjoyed it. The supermarket had run out of lemon so I substituted with a mix of orange and lime. The lime zest and juice and the orange zest and slices. 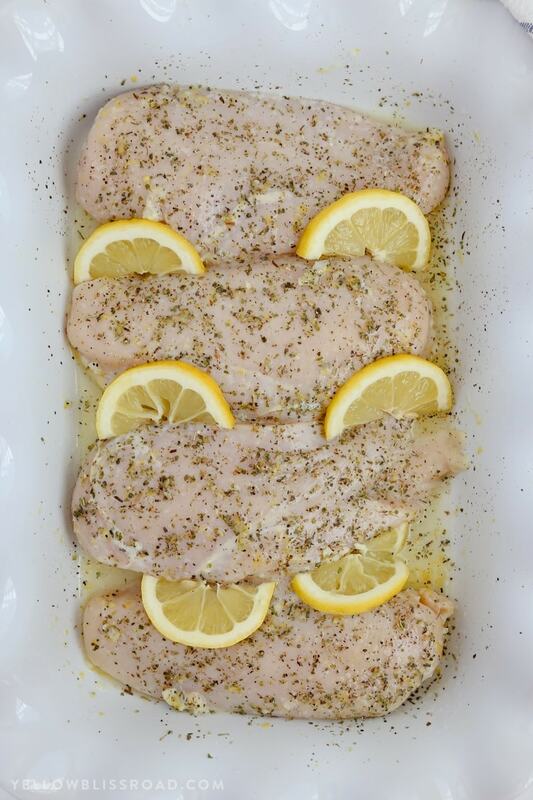 In the text you talk about using lemon zest, and the pictures show lemon slices on the chicken. But the actual recipe doesn’t say anything about lemon zest or when you put the lemon slices on the chicken? I’m assuming you put the slices on the chicken for the entire bake time, but how much lemon zest do you use and do you mix it into the liquid or sprinkle it on top? I updated the recipe. You’re right, the zest was left out. The lemon slices were part of the garnish at the end, but can also be baked on top like I did in the photos. 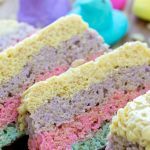 Kristin — THANK YOU for an awesome recipe! Thanks also for the info on the olive oil. I keep reading warnings with no info. I appreciate you taking the time to include the info! You’re welcome, so glad you enjoyed this recipe!